An enormous explosion on the surface of the Sun blasted an array of solar particles Earth’s way and the storm will hit tomorrow. Scientists have warned the storm could wipe out satellites, GPS navigation systems and mobile phone signals. 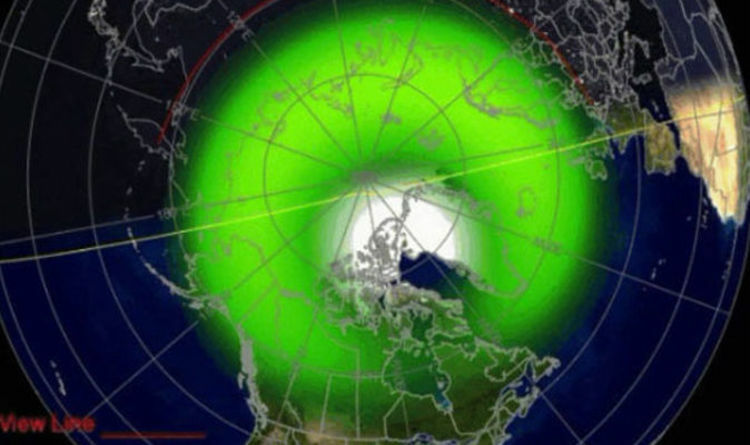 The solar storm will hit the northern hemisphere, which could lead to the Northern Lights, or aurora borealis, being seen as far south as the upper reaches of Scotland. But the consequences could be far more serious than the appearance of the Northern Lights. When magnetic field lines travel from the interior of the Sun to its surface, they usually remain inside our star. As it stands, the NOAA says the forecast for the impending solar storm is G-1 or ‘minor’. However, this could be updated to a G-2, or moderate storm, depending on how the charged particles from the sun hit Earth.